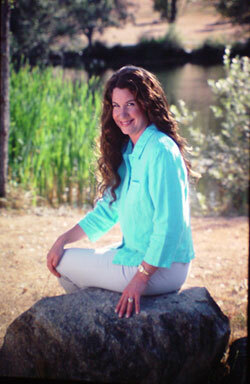 Susan Wiggs is a best-selling author whose career spans over more than 20 years. Her historical and contemporary romances - too numerous to list - have won many prestigious awards and enjoy world-wide popularity. Many of her books have also been translated into foreign languages, including Latvian, Japanese, and Icelandic. 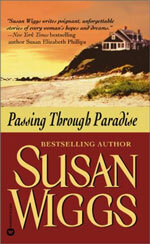 Susan Wiggs' novels are set in a wide range of time periods and in settings the author has either visited or lived in, including the Washington coast. Her most recent books are Fireside, The Maiden's Hand, Lakeshore Christmas, At the Queen's Summons and At the King's Command (all 2009). An amazon reader says about At the King's Command: "... this was my first book that I ever read by Susan Wiggs and it was this book that really touched me deeply and made me start buying all of her books left and right." Susan Wiggs lives on Bainbridge Island where she actively supports and shares her experience with the local writing community. 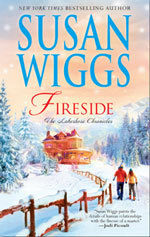 To learn more about Susan Wiggs and for a complete listing of her publications go to http://en.wikipedia.org/wiki/Susan_Wiggs or check her website http://www.susanwiggs.com/.